We’ve just released the updated data rooms that give you more flexibility in managing access levels, data room index and more export options to help support your workflow. 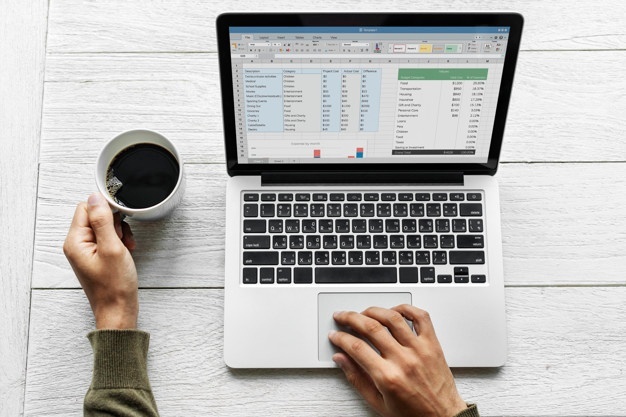 Depending on a specific deal or project, there are cases where you would need to give recipients access to all the contents of the data room while some recipients may only require access to certain folders. 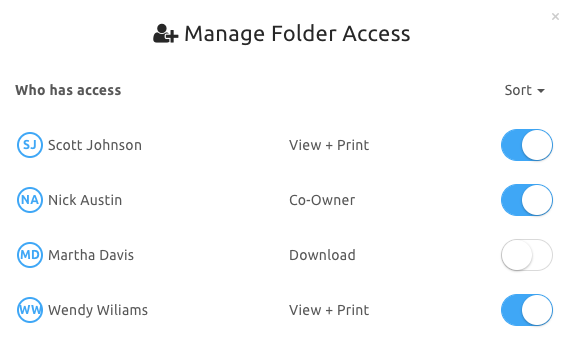 Data room owners/co-owners can now manage access for individual folders on the recipient level by setting granular permissions. With granular permissions, data room owners/co-owners have more flexibility in organizing the data room to achieve maximum impact. Read more about how to set granular permissions. Note: Granular permissions are available for data rooms created starting Aug 20, 2018. If you don’t see this feature in your data room, follow these steps on how to transfer the files in your existing data room to a new one. A VDR can house dozens to hundreds of documents and folders at a time, and your data room index helps give you a quick overview of all the contents of your data room in one look. 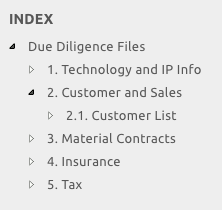 We’ve also added options that lets owners/co-owners export the following to an excel sheet within a few clicks. Data Room Index - an itemized list of data room folders and files following the data room index. The data room index includes specific links to the folder/file, the name of the person who uploaded it into the data room, and when it was added to the data room. User List - a list of recipients’ names, email addresses, when they were added to the data room and the date of last access. Activity Log (formerly called Data Room Log) - a list of the data room activities including when files/folders/recipients were added and who browsed the data room when. The Print and download permissions can now be managed on the recipient level and have been moved to the Invite People to Data Room section of your data room. This way, you can can easily set the print and download permissions per recipient at the time that you’re inviting them to the data room. Note: For data rooms created before August 20, 2018, you will still find the Permissions by in the Data Room Settings. 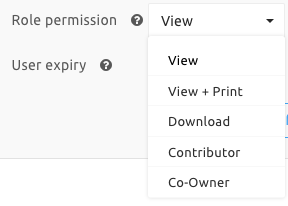 In line with this, you will notice the updated role permissions that let owners/co-owners set print and download permissions for every recipient. As usual, when you allow download, the print will automatically be allowed as well. If you wish to restrict download, you can select “View” (for view only) or “View + Print” (to allow printing). Under the View + Print permission, owners/co-owners have the option to define the number of times a recipient can print the files. Oftentimes, owners/co-owners/contributors would need to upload more files into your VDR as the project progresses. Now, you have more control as to when or if you want to send out automated notifications each time new files are uploaded to your data room. Log in Digify and check these updates out! Have questions about these updates? Visit our help center for more information or send us an email at support@digify.com.